The work represents a man bent forward, carrying the body of a woman, surrounded by two female figures, who appear suspended in the air. The title “Punishment” would seem to indicate that they are representations of the Greek Erinyes; the role of these deities, known by the Romans as the Furies, was to persecute criminals. 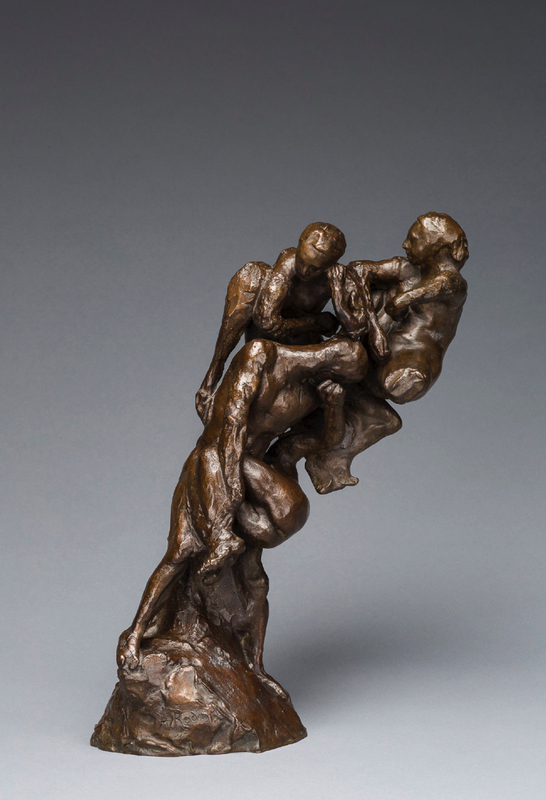 Châtiment is one of three works cast for the centenary of Rodin’s death.